In conjunction with the cultural department of the Embassy of Spain in Mexico, Spanish audiovisual artist Mireia Sallarés exhibits her powerful and internationally acclaimed four-year interdisciplinary project (photography and video documentary) that focuses on the pleasures, pains, lives and deaths of thirty Mexican women of different ages, social strata, professions and religions in the Sala International of Ensenada’s Centro Estatal de las Artes (CEARTE) on the corner of Blvd. Costero (Lázaro Cárdenas) & Av. Club Rotario. The October 1 inauguration at 7pm is open to the public. Exhibition hours: 8am-8pm Mon.-Sat., noon-7pm Sun. Free admission. 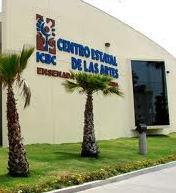 Info: CEARTE, tels. (646)173-4307 & (646)173-4308.